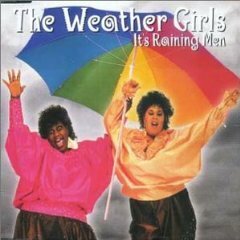 Martha Wash and Izora Armstead had been performing together for a few years as Two Tons o’ Fun before they changed their name to The Weather Girls and cut a single written by Paul Shafer, of David Letterman fame, called It’s Raining Men. The result is a classic single that many people consider the anthem of 80’s rock. This video is so much fun to watch. Martha and Izora were having a blast and so it seemed was everyone else in the crew. One of MTV’s most popular offerings in 1982, The Weather Girls hit it big on the Billboard charts as well as with radio programmers the country over. The song also became an international hit, keeping Martha and Izora busy for years. No matter that they never repeated the success of It’s Raining Men; this one song put them on the map and has kept them there for almost thirty years. Izora is gone now, having died of heart failure in 2004. After she and Martha parted company in the 90’s, Izora kept The Weather Girls alive with her daughter Dynell, scoring big on the European front, but never finding chart success in the US again. Martha continues touring and performing, and whenever she cranks down on It’s Raining Men audiences still scream and go wild. This song just never gets old.